I snapped this photo a week ago yesterday when I was home in Tennessee visiting the family. 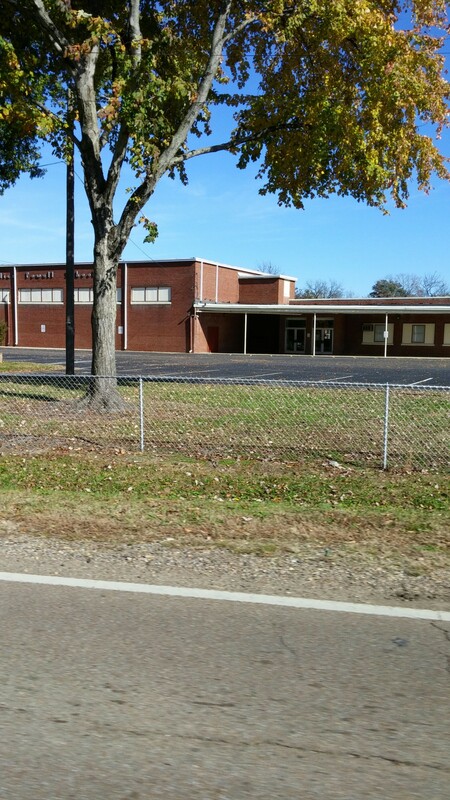 It’s my old elementary school, Holice Powell School, just a few blocks away and within walking distance of my childhood home where my Mom still lives. I point out the location only because one of my fond memories is having Mom pick me up from school on most days back before she worked. I rarely had to walk home. It was even safer for kids to walk home back then. In fact, there were more kids in the neighborhood back then and they could be seen along the side of the streets headed home just after 3pm. I attended Kindergarten through 8th grade here, so like most small town schools, I grew up with the same group of kids all those years. Few kids left. Few “new” kids joined us over the years. I did not stay in contact with any of them after we graduated 8th grade. I can still remember most of their names, but I don’t even communicate with them on Facebook now. And I don’t care to. In fact, I purposely attended a different high school to get away from most of them! Long story short, I was bullied quite a bit back in those days, and unfortunately those bad memories outweigh the good ones. The school is now only K through 5. Both my niece and nephew went to school here, but had to ride the bus to a newer middle school in the city for 6th through 8th grade. When the school was K through 8, we had our own basketball, football, and cheerleading teams. The school has a nice gym, and “had” a nice football field too. Going to the games and cheering for the teams was always a good memory though I did not participate in sports. We always had a grand Harvest Festival to look forward to each year, fun assemblies, and school plays too. Eventually, I think the school will close as the school system finds it more affordable to bus the children from the outlying counties into a larger grade school in the city. We’ve seen other small neighboring towns lose their tiny grade school in the past few years. But for now, the school still serves the small community where I grew up and I have to drive by it every time I go to visit.